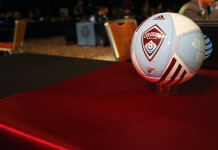 The Colorado Rapids lost 1-0 to D.C. United on Saturday, but the beginnings of what the organization has coined “The Rapids Way” began to take shape. The Rapids front office did a media blitz during the past week after they fired head coach and club legend Pablo Mastroeni. 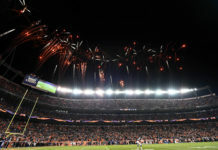 Sporting director and interim GM Padraig Smith and interim Chief Business Officer Wayne Brant penned an op-ed in The Denver Post explaining the club’s new direction, The Rapids Way, where they said that the club is going to put more of an onus on bold players and attacking vertically. Smith also held a 30 minute Q&A with fans via YouTube to answer questions and concerns. 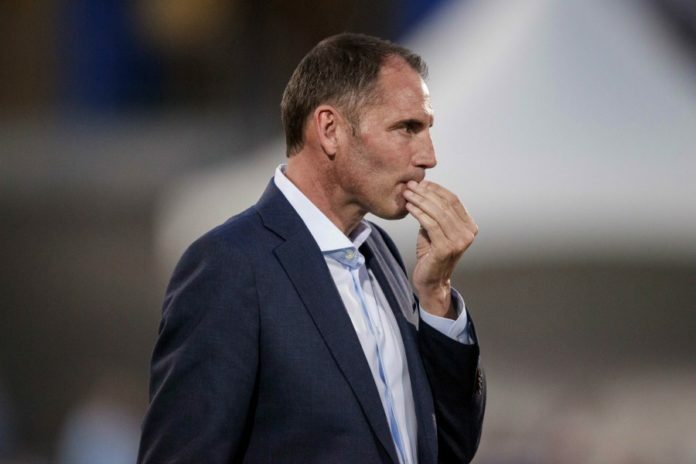 Interim head coach Steve Cooke showed his commitment to the new mentality immediately when he rolled out a 4-3-3 formation instead of the 4-4-2 that Mastroeni had utilized most often this season. In the 4-3-3, instead of having two attacking players, the Rapids had three, which obviously shows that Cooke wanted to be more attack-oriented than the team had been thus far this year. And attack-minded they were. 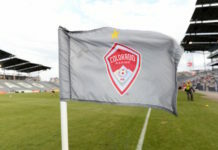 After a slow start, which Cooke characterized as the players possibly wanting to do too much to honor their former head coach, the Rapids settled down and put their foot on the gas. They created ample opportunities, but due to a combination of a potential team-of-the-week performance by D.C. goalkeeper and USMNT member Bill Hamid, chances hitting both the post and the crossbar, and a handball in the box that referee Alex Chilowicz, who was manning an MLS match for the first time as a head referee, missed and failed to review with VAR, they were not able to capitalize. The stats prove their offensive assault. The Rapids won the possession battle with 61.1 percent control, a stat the Rapids rarely won under Mastroeni. They also had more passes, more passes in their attacking half and more passes in the attacking third than D.C. United. Lastly, they outshot their opponents 18-14, though only four of those were on frame. After the match, Cooke acknowledged that the changes in philosophy would take some time to implement and master. Despite the focus on bold attacking, the Rapids defense remained solid, a good sign moving forward. D.C. United’s only goal came from a single rare mistake when center back Jared Watts sent a back pass toward goal, but Tim Howard was nowhere near where the pass went. Watts hit it with such pace that Howard wasn’t able to get back in time, and the ball rolled in for an own goal. So, D.C. was unable to score on the Rapids, only the Rapids were able to score on the Rapids. If the team can maintain their solid defense while simultaneously increasing the rate of their attack, the Rapids could be a dangerous team in the future. The playoffs this season may be unrealistic, but it will be a good case study on The Rapids Way. If the front office brings in a dynamic player or two in the offseason, this new philosophy could prove to provide an exciting 2018 season, whoever the coach may be. The Rapids next showcase their new mentality on Wednesday against the red-hot Portland Timbers in the raucous Providence Park at 8:30 p.m. MDT.